In the streets of downtown Houston this weekend, as we chose humanity over fear, I felt at home. I checked the news on Saturday morning and spent the rest of the day in a dark fog. President Donald Trump's recently signed executive order enacting a travel ban and a freeze on refugee resettlement hit on so many of my own core values, and I felt the enormity of the impact for so many people. My first thoughts went to the refugees. I know their plight, because I too am a refugee. My parents first tried to flee their home country of Vietnam in 1977, while my mother was still pregnant with me. They were caught and promptly jailed; my mother and brother were released after a few days, but my father remained in a labor prison for 18 months. Two years later, after my father and brother managed to make it to a refugee camp in Malaysia, my mother and I escaped on a fishing boat that quickly became lost at sea. After 20 days, we had no food, fuel or water. On the 21st day, we were rescued by an American naval supply ship, the Kilauea, in the South China Sea, and taken to a refugee camp in Singapore. 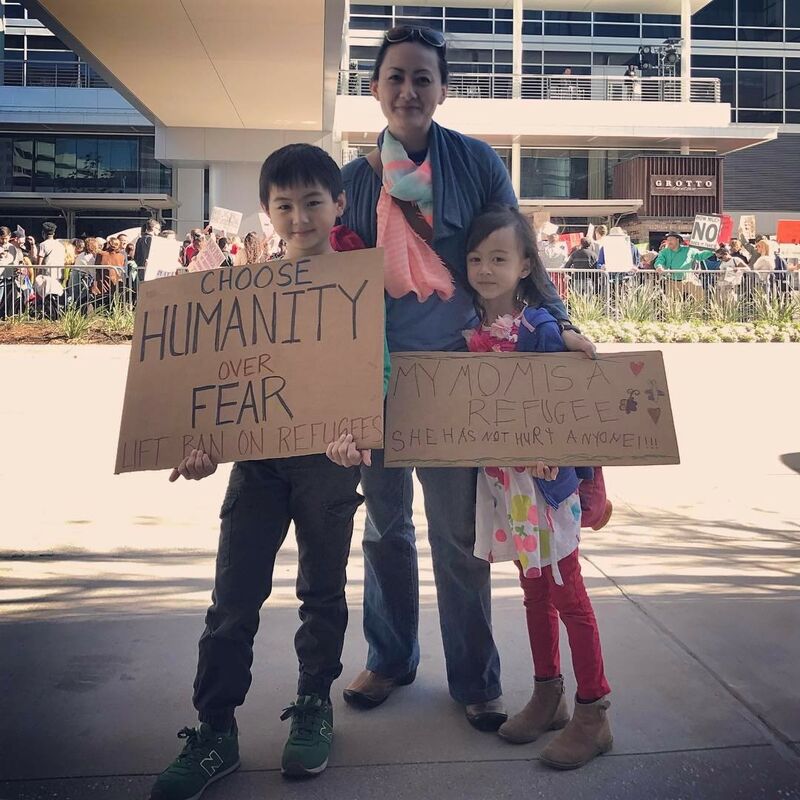 We eventually reunited with my family and arrived in Houston as one of the tens of thousands of Vietnamese boat people to seek asylum in what would become our new home. I know that the refugee experience is a painful series of making the least-worst decisions for your family in hopes for something not-as-bad as your current situation. I know that if you are a refugee parent, your own hopes and dreams vanish as you devote your existence to create something better for your children. I have spent my entire life making sure that my parents’ sacrifices have been worthwhile. 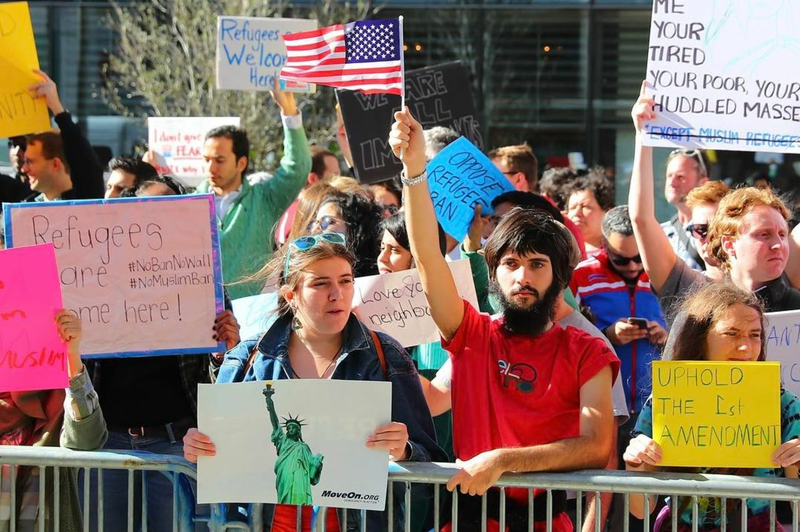 My refugee experience is no different from the millions of others. 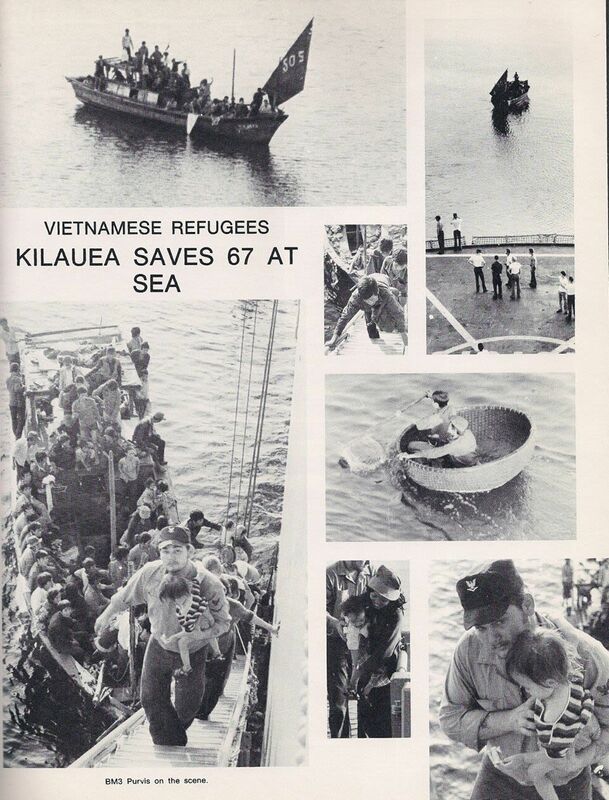 The Kilauea rescued 67 Vietnamese refugees in the South China Sea on January 30, 1980. This weekend, I spent a lot of time thinking about the Syrian refugees in particular. Their dreams of going back to Syria have diminished, as are their hopes for resettlement. What is worse than having to make the least-worst decision? Having no decisions to make at all. Saturday was spent in despondency, but not Sunday — Sunday was game time. Sunday was time for action. I wavered on whether or not I should bring my children to the planned protest at Discovery Green. They are 5 and 7 years old—old enough to know what’s going on, but not old enough to really know what’s going on. Ultimately I decided it was important that they see their own parents' values in action. We started by making signs. I asked my daughter what she wanted on her sign. She launched into a two-minute monologue, which clearly wasn’t going to work on a 1-by-3-foot sign. So I asked her questions: What does she believe in? Why should something like this matter to her? And she came to this: My mom is a refugee; she has not hurt anyone. It was perfect. Imagine every Syrian child in a refugee camp holding that sign. I did. Before we went to the rally, we met up with our friends for dim sum to celebrate the Lunar New Year. As we watched an incredible performance by a local lion dancing troop, I was struck by how very Houston this all was. Here I was, eating Chinese dim sum with my Irish-Polish friends, watching a cultural performance at a restaurant owned by Vietnamese refugees before going to a rally for immigrants happening right next to the pre-Super Bowl festivities at Discovery Green and the George R. Brown Convention Center. I’m not going to paint a picture of us walking boldly and confidently towards the rally, however. My kids were nervous. My daughter didn’t want to hold her sign. I was worried about whether it would be safe for them. Standing up and voicing a strong opinion is uncomfortable. It always will be, whether you’re 5 or 45. But once we were there, my heart swelled with pride. Houstonians from all nations were there alongside us; police officers were friendly and helpful; taxi drivers honked along to our chants; NFL fans took pictures; and we chatted with newly-made Muslim friends, listening to the stories of how their community has been affected by the travel ban. Houston came out that Sunday with hope, love, and compassion. 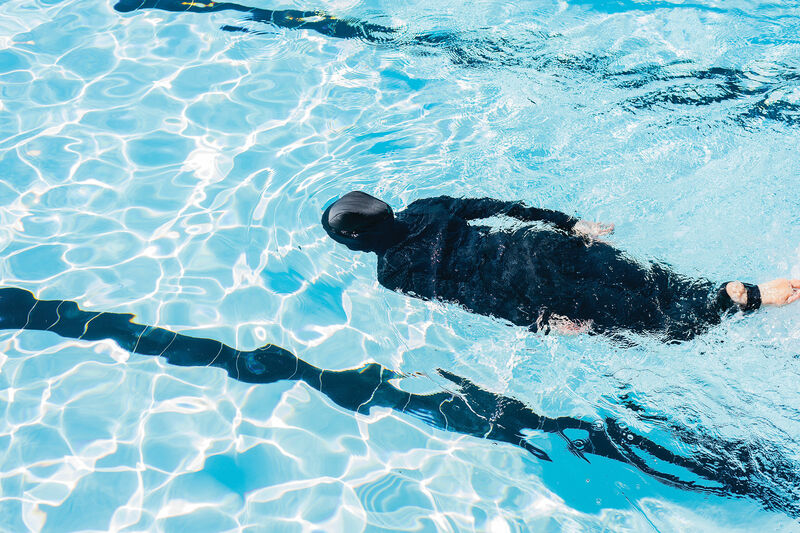 I realized in that moment that part of the darkness for me on Saturday stemmed from the notion that perhaps, as a refugee, I did not belong here. It is the indirect impact of such a sweeping order based on fear. However, in the streets of downtown Houston, I felt at home, and felt even more urgently that I needed to ensure my Muslim/immigrant/refugee neighbors felt the same. 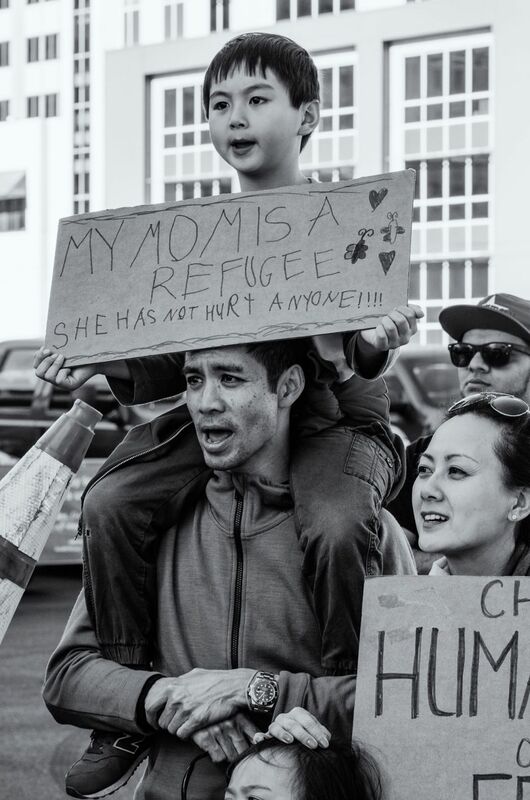 My mom is a refugee; she has not hurt anyone. As I reflect on this family experience, I think most about all the questions my children had for me during the rally. These are simple questions my kids asked, but they cover such complex issues. 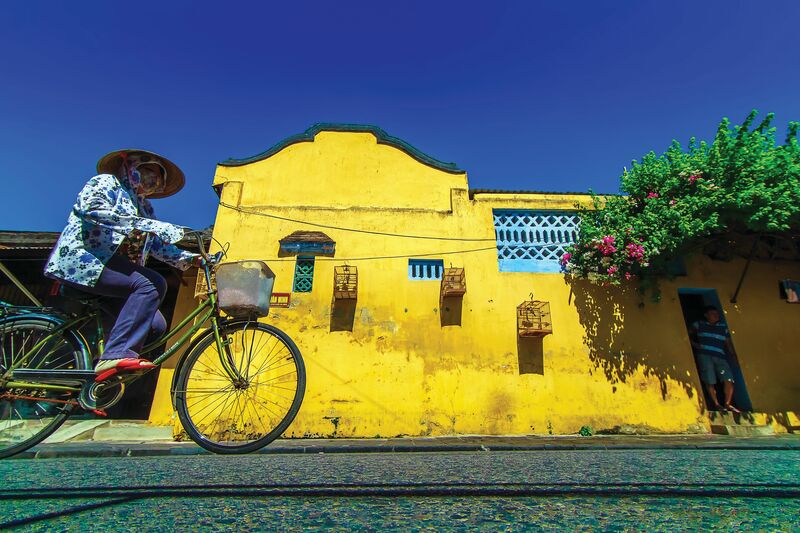 Moreover, my challenge was to answer these questions based on my values and not on my fears. I don’t want my children making decisions driven by fear, nor do I want us as a country to lead through, and from, fear. This is how we lose our humanity. Yes, I am also fearful, but I am resolved to continue to fight for compassion and inclusion. There is room for both, but let us choose our humanity over our fear. My kids got to see the best of our hometown yesterday. They got to celebrate their own cultural heritage here in the heart of Texas. They got to see their mother, a refugee, fight to keep the door open for the refugees behind her. And they saw thousands of people wanting to do the same, peacefully and urgently. Then they got an artisan popsicle from a local vendor and went to the Super Bowl celebration at Discovery Green. It was the very best of Houston. Judy Le is the president and co-founder of TakeRoot Leadership Consulting and Coaching, and is an instructor at Rice University’s Glasscock School of Continuing Studies. Listen to more of Le's story here.